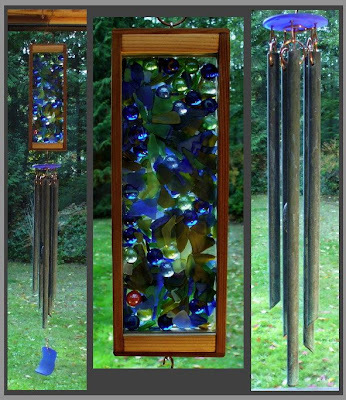 I came across this website while trolling on Craigslist and I absolutely love these wind chimes! Tim Kline is one very talented artist. There's something about beach glass that fascinates me and I love the way that he has combined it with wood and metal. The glass is so vibrant and alive. I am slowly saving my pennies for one of these and have the perfect spot for it all picked out at the front of our house. Visit Tim's site and see for yourself . . .